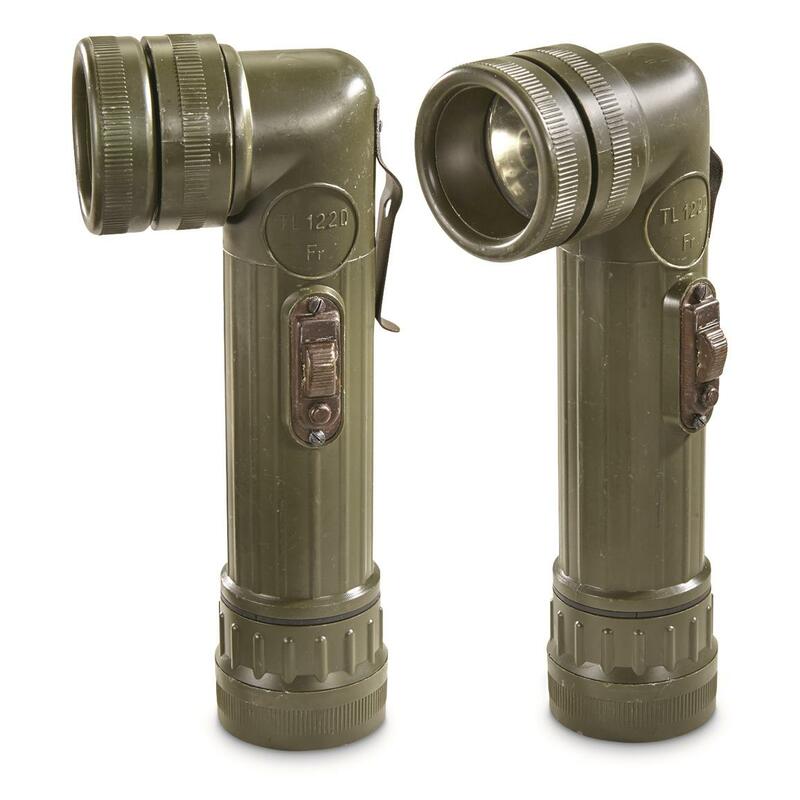 Easy light for hunting, camping, emergencies. 2 Lights, 1 low price! A better way to position your light in the outdoors. This Anglehead Light can clip to clothing, backpacks, and more to shine a beam exactly where you need it, no hands required. Flat base stands up on its own for desks or picnic tables. A must-have during after-dark planning for tomorrow's trail. Very similar to the classic U.S. MX-991, only here made to strict Belgian military specs. 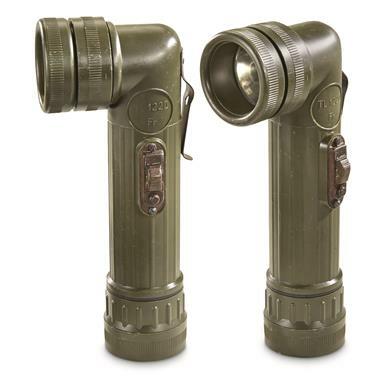 Belgian Military Surplus Anglehead Flashlights, 2 pack, Used is rated 3.3 out of 5 by 3. Rated 2 out of 5 by Mick from Belgian Surplus Anglehead Flashlight, 2 pack One of the flashlights is in usable condition, though the Morse code button does not work. The other one does not work at all. I tested the bulb, which does work. The switch, however, is non-functioning. So, the cost was $15.00 and change for one flashlight.